World Water Day is on March 22nd and I am working on raising enough money to build a well for a community in Africa that currently has little or no access to clean drinking water. 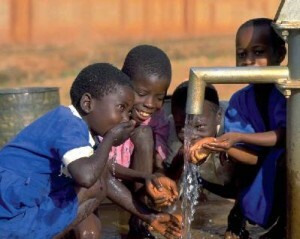 Young children are in the highest risk group for water related illness or death. Please help to provide them with a safe source of water. Join me and world leaders around the globe in an effort to reduce the number of individuals lacking access to quality drinking water by the year 2015. 03/22/11 Faye Fishman $20.00 Best of luck with this project! 03/21/11 Jeannette Graf $200.00 What a wonderful cause!! 03/16/11 Elyse Kopel $10.00 Good work Michelle!